European investment banks will find regaining ground ceded to their stateside rivals a hard slog. Trading and advisory revenue at the region’s five largest banks – Barclays, BNP Paribas, Credit Suisse, Deutsche Bank and UBS – accounted for more than two-thirds of that generated by their five largest U.S. counterparts in 2010, according to a Breakingviews analysis. While disclosures complicate exact comparisons, last year they look to have mustered less than half. Wall Street’s market share grab is long established. America’s economy has been faster to rebound after the crisis, meaning U.S. banks have taken the lion’s share in underwriting and M&A fees. If a tentative European economic recovery gathers pace, the region’s banks may rise up the rankings. But some of the pain precedes the crisis: Thomson Reuters’ data shows that Europe’s investment banks are on course to lose market share in primary markets activity for the 10th consecutive year. In trading, hopes for a European rebound look even more futile. New leverage rules drawn up post-crisis have handed an advantage to bond market-focussed U.S. banks, which offload mortgages to state-sponsored entities. Deutsche Bank, still Europe’s largest fixed income trader, now wants to cut 16 percent of its investment banking leverage assets by 2018 – and new boss John Cryan may go further. That will have a direct impact on trading revenue. Barclays, which is slashing 53 percent of its equivalent assets, has seen annual investment banking revenue drop 29 percent. And HSBC announced on June 9 that it was hacking $130 billion of risk-weighted assets, predominantly in Europe. Contrast that with a slight rise in trading-related assets over the last four years at Bank of America Merrill Lynch. Of Wall Street firms, only Morgan Stanley has cut meaningfully in fixed income, more than halving its assets. There are two possible chinks of light for despairing EU bankers. One is that Europe’s capital markets union project pushes companies rapidly to switch from loan to bond financing, and that EU banks win virtually all of the new business. Another is that Wall Street banks find their high-cost bases hard to bring down in the event of a prolonged slump. But the former won’t happen overnight if ever, while the latter would be unpleasant for the industry as a whole. U.S. triumphalism looks warranted. HSBC on June 9 announced that it intended to cut its investment banking risk-weighted assets by 31 percent to $285 billion by the end of 2017, as part of a wider group strategy revamp. 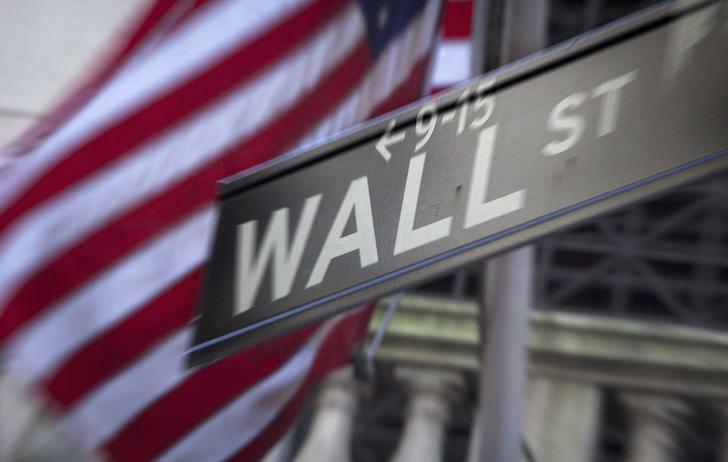 The top five Wall Street banks – Bank of America Merrill Lynch, Citigroup, Goldman Sachs, JPMorgan and Morgan Stanley – generated $139 billion in investment banking revenue in 2014, up 6 percent from 2010. The top EU banks – Barclays, BNP Paribas, Credit Suisse, Deutsche Bank and UBS – generated $63 billion in 2014, down 30 percent from 2010. Cumulative numbers for U.S. investment banking revenue include some income from corporate banking for Citigroup and some from Treasury services at JPMorgan.